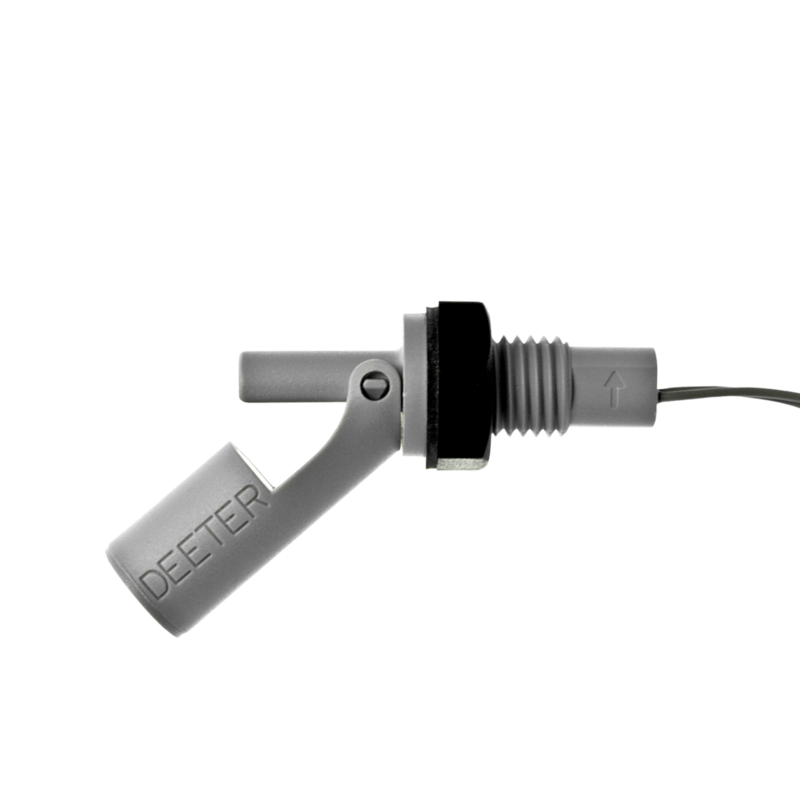 DLC Series Dual Level Controllers - Deeter Electronics Ltd. DLC Series Dual Level Controllers - Deeter Electronics Ltd. The Dual Level Controller allows control of the liquid level in a tank between two points and/or an extra control output in the event that the tank over or under fills. 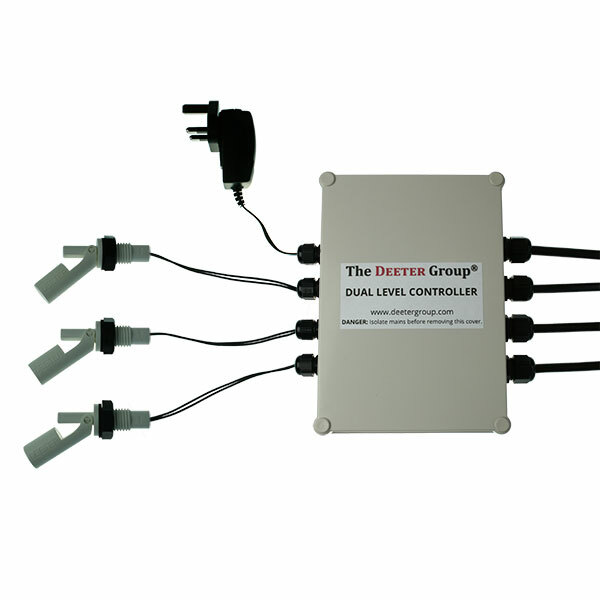 The Dual Level Controller (DLC) provides safe low voltage for the level switches which may become submersed and has high power relay contacts to control a pump or a solenoid valve in a gravity fed top-up system. The DLC-1 provides one relay that can be configured to provide dual level control or just buffer a single float switch or other light duty switching device. The DLC-2 has an additional totally independent relay that can be used for any purpose. For example, a pump can run dry and become damaged if there is a lack of liquid in the tank in a pumped output system. A float switch can be set just above the level where this occurs and the relay contacts of the DLC-2 wired to cut the electrical supply to the pump motor. The DLC-3 offers an IP65 rating in addition to the features of the DLC-2. The uses of this product are diverse – please call us to discuss potential applications. Please note that the DLC-2 is shown in the picture with float switches; these are sold separately. 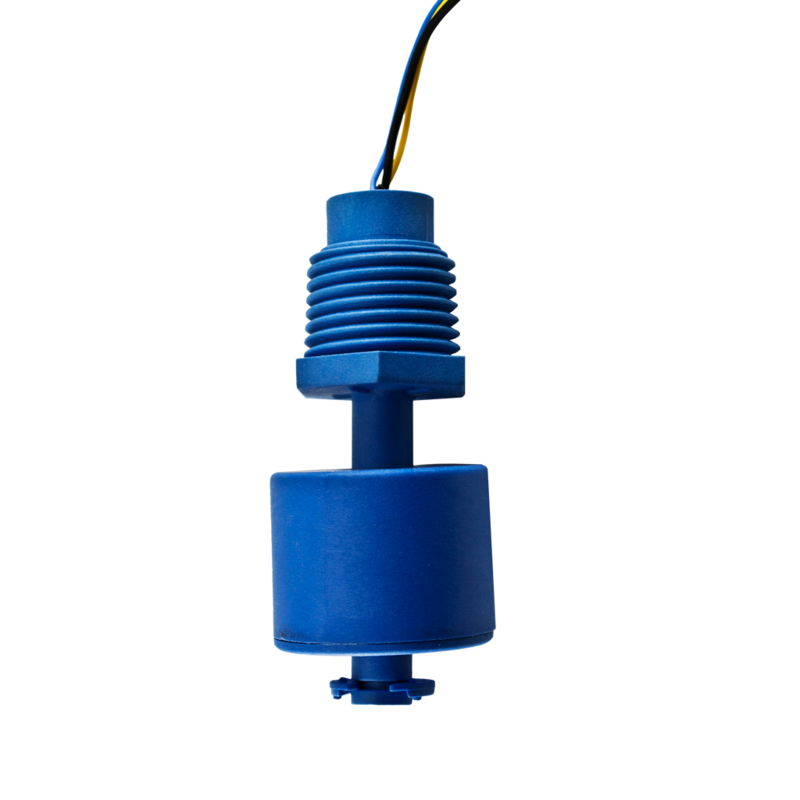 To view our range of float switches, please click here.